ST1331IV – A superb apartment for sale Split has a surface of 106m2 plus a beautiful south-oriented loggia of 9m2 with a view of the sea. 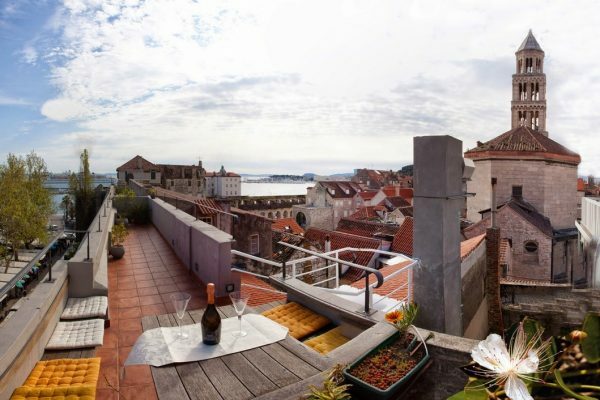 It is located about 200 meters from the sea and about 1km from the centre with the amazing Diocletian’s Palace. 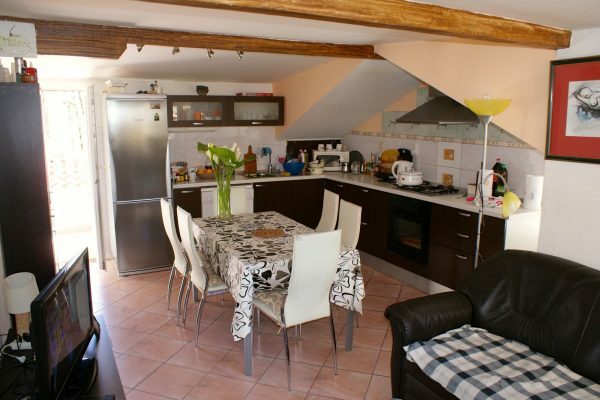 This apartment for sale Split is placed in a small apartment building, on its first floor. It consists of one toilet, one bathroom, two bedrooms, a kitchen and a connected living and dining area, with big glass doors connecting it with the loggia and enabling a lot of sunlight to come to the interior. This loggia space can fit a small table with chairs, so here you can enjoy a glass of wine in the evening and watch the sun go down. The selling price also includes an 18m2 garage for two cars, a 6m2 laundry room in the basement and the entire beautiful furniture and equipment as seen on photos, which is a superb advantage. All these advantages make this property a great investment for rental business as well as for creating a perfect second home in a wonderful location. The city of Split is a great place to enjoy sightseeing, partying, trying amazing food in numerous restaurants and much more. Here you have excellent airplane connections to all important destinations around Europe, and in the very centre of the city you can find one of the biggest and most important ferry ports on the Mediterranean with frequent ferry and fast boat lines towards all the amazing Central Dalmatian islands. Thanks to this, the city is an excellent vacation spot as well as a great place for creating a second home.